Welcome to A&A Limousine & Bus Service! We are here to meet all of your Seattle chartered bus and limo transportation needs! We are a friendly and professional limo and bus service striving to make a difference in the limousine industry and our local community. Are you new to Seattle? 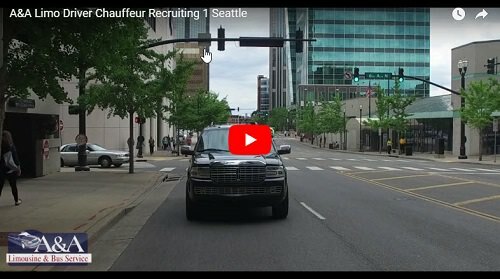 You're probably wondering which company to hire as your local Seattle car service provider as every company claims to offer the best services and rates. You can rest assured that we are the reputable, local, licensed, and insured service provider to choose in Seattle with years of experience, local knowledge, and a proven dependability. We offer hourly, long distance, as directed, and point-to-point car service to and from Seattle Airport to our local friends, lovely city guests, corporations, and celebrities. We hired A&A for our wedding in May 2016. I called in February for rates and they were so easy to work with. They handled my reservation with ease and their prices were also very reasonable as well. When it came to the day of the wedding, the limo driver came right on time and when we headed out to take pictures, the limo driver stayed in the area the entire time. The limo was clean and the AC worked. The entire process was amazing. They even called you a few days earlier to confirm everything. It was such a nice experience and would recommend using them to friends and family. Perfect! We were a group of ladies going to a fund raising event in Seattle. I contacted A & A limo and bus service and from the first email to the limo bus ride it was smooth sailing! The best fit for us, was point to point as we just needed a ride to and from our event. They were so easy to work with and enjoyable. The fund raising event was a huge success and the means of transport were the icing on the cake. On our way there we enjoyed a glass of wine and our Pandora music. The party bus was brand new and our driver was so nice and accommodating! We will definitely use them again! !